Equip: You have a 0.10% chance per Maelstrom spent to gain Ascendance for 10 sec. "The essence of thousands of fiery elementals have been imbued in these gloves, yet they are strangely cool to the touch." Equip: Damaging enemies with your Fire, Frost, or Nature abilities increases all damage you deal by 1.5% for 8 sec. Each element adds a separate application. "In the nether, though the elements of the world are twisted and barely recognizable, their power is without equal." Equip: Your damaging abilities have a chance to create a Ravaging Storm at your target's location, inflicting 48 Nature damage split among all enemies within 6 yds over 6 sec. Golganneth's Thunderous Wrath When empowered by the Pantheon, your autoattacks cause an explosion of lightning dealing 16 Nature damage to all enemies within 8 yds of the target. Lasts 15 sec. Equip: Your melee autoattacks grant you Chaotic Energy, increasing your Strength or Agility by 2, stacking up to 20 times. If you do not autoattack an enemy for 4 sec, this effect will decrease by 1 stack every sec. Equip: Grants the Doom Winds ability, causing you to unleash Windfury on your opponents. "A stranger will raise the hammer high, and with it justice shall reign." 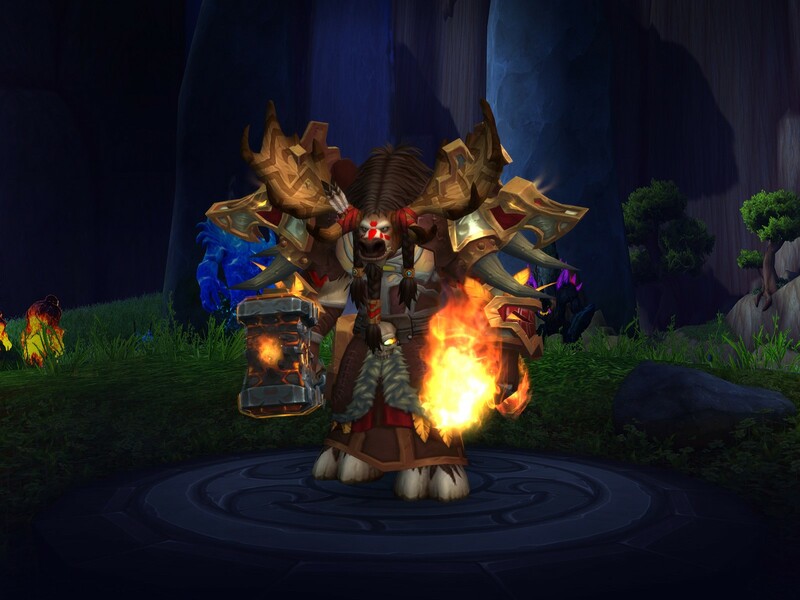 "Created through the power of Doomhammer and the powerful shaman who wields it."